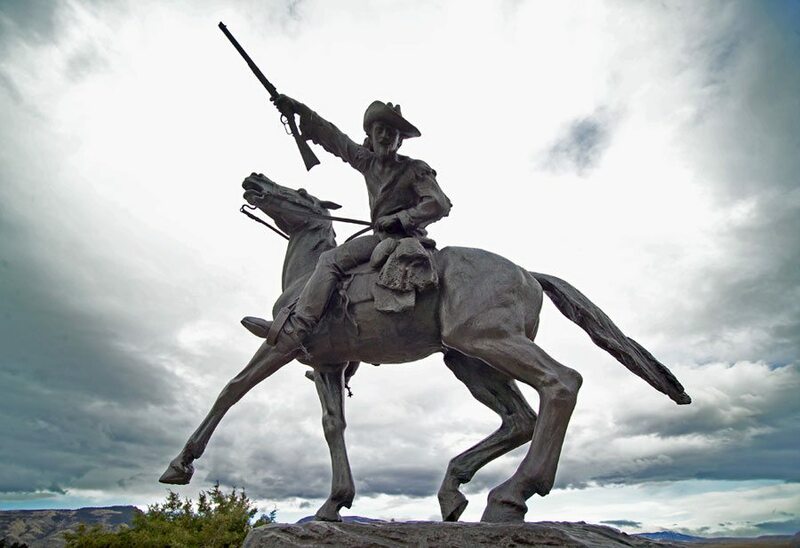 The Whitney Western Art Museum began with one work of art, the monumental sculpture of Buffalo Bill—The Scout by artist Gertrude Vanderbilt Whitney, dedicated in 1924. The commission of the memorial to the great western leader, Col. William F. Cody, set in motion events which would eventually lead to the establishment and growth of a major collection of western art within a western heritage museum. The Whitney Western Art Museum, established in 1959, evolved into one of the finest western art galleries in the United States; part of the world-renowned Buffalo Bill Center of the West. The Whitney Collection includes original paintings, sculptures, and prints that trace artistic interpretations of the West from the early nineteenth century to today. Artists featured include George Catlin, Alfred Jacob Miller, Thomas Moran, Albert Bierstadt, Frederic Remington, Charles M. Russell, Alexander Phimister Proctor, William R. Leigh, Joseph Henry Sharp, N.C. Wyeth, and many others. The collection also includes contemporary western art. Harry Jackson, James Bama, Deborah Butterfield, and Fritz Scholder are represented with many other artists of the twentieth and early twenty-first centuries.